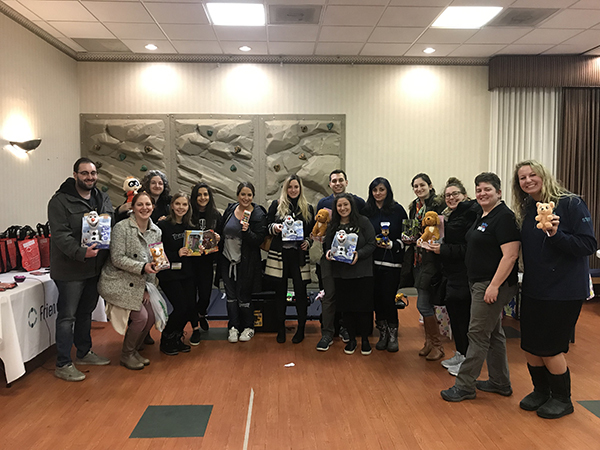 Jewish Clevelanders, ages 21 – 45, and their families came together for a morning of volunteering across Greater Cleveland during the most recent YLDay of Caring! They enjoyed a day of hands-on volunteering where they saw old friends and met new ones. But most importantly, they made a difference in our community! From feeding the hungry, to caring for the elderly, to helping children with disabilities, and more, there was a volunteer opportunity for everyone! 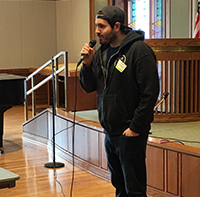 YLD members Nate Goldfinger, Sonya Nudel, and Faige Margareten reflected on what their Day of Giving meant to them and to Jewish Cleveland. Volunteering within the Jewish community has always been an integral part of my life. Today’s YLDay of Caring event was very nostalgic for me as I was one of Friendship Circle’s first volunteers when they opened their doors in 2003. It was nice to see familiar faces and learn how much their program has expanded, as well as reengage in a new capacity by adapting switch-operated toys, so that they are accessible for individuals with disabilities. Jewish Cleveland has an incredible network to ensure that no one is left behind and being a part of that gives me a sense of purpose and makes my life more meaningful. YLDay of Caring is an incredible experience well-orchestrated by the Federation’s YLD Board and Staff. I have much gratitude for the local Cleveland Jewish community in which I was raised and received tremendous benefit from as I grew up. At my YLDay of Caring site, Montefiore, I participated in a rich expression of continuity of the Jewish people, with a local focus. It was inspiring to see elderly residents of Montefiore interact and share their wisdom with children and young professionals from the community over donuts and snacks. Likewise, it was inspiring to see young kids seek out the opportunity to entertain Montefiore’s residents with games, musical performance, and conversation. Today’s experience makes me proud to be part of the Cleveland Jewish community and involved with the Federation. Volunteering is a small way that I give back to my community. In this particular case, I was able to learn something new while doing it! To me, it means helping and connecting. I had driven by the Friendship Circle a million times, but never knew what the organization really did - until today. It was fascinating to learn about the organization and to see how they are helpings kids everyday. That made it so easy for me to contribute. I was able to include myself in the community and do something good. One small act of kindness can lead to another. Check out the photos from a great day of volunteering here. For more information on the next YLDay of Caring, contact Hannah Giterman at hgiterman@jcfcleve.org or 216-593-2872.